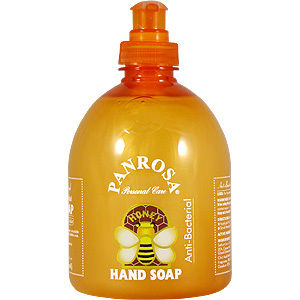 For handwashing and nourishing skin. 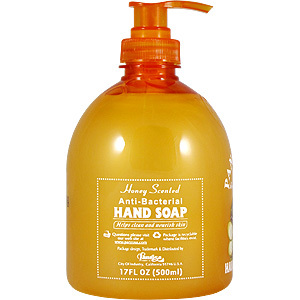 Wet hands, apply palmful to hands. Scrub thoroughly and rinse. WARNINGS: For External Use Only. When using this product do not get gel into eyes. If contact occurs, rinse eyes thoroughly with water. Keep out of reach of children. 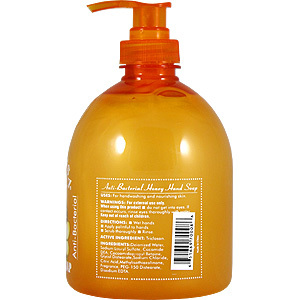 Deionized Water, Sodium Lauryl Sulfate, Cocamide DEA, Cocoamidopropyl Betaine, Glycol Distearate, Sodium Chloride, Citric Acid, Methylisothiazolinone, Fragrance, PEG-150 Distearate, Disodium EDTA. 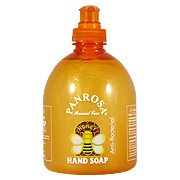 Anti Bacterial Hand Soap Honey is shipped in a discrete, unmarked package. Orders are processed immediately and usually take about 3 to 5 working days to be received. We do ask that you try it for 2 to 3 weeks to feel the full effects. Any information received is used only for order processing and shipping purposes. Your information, such as e-mail address, will never be disclosed to a third party.